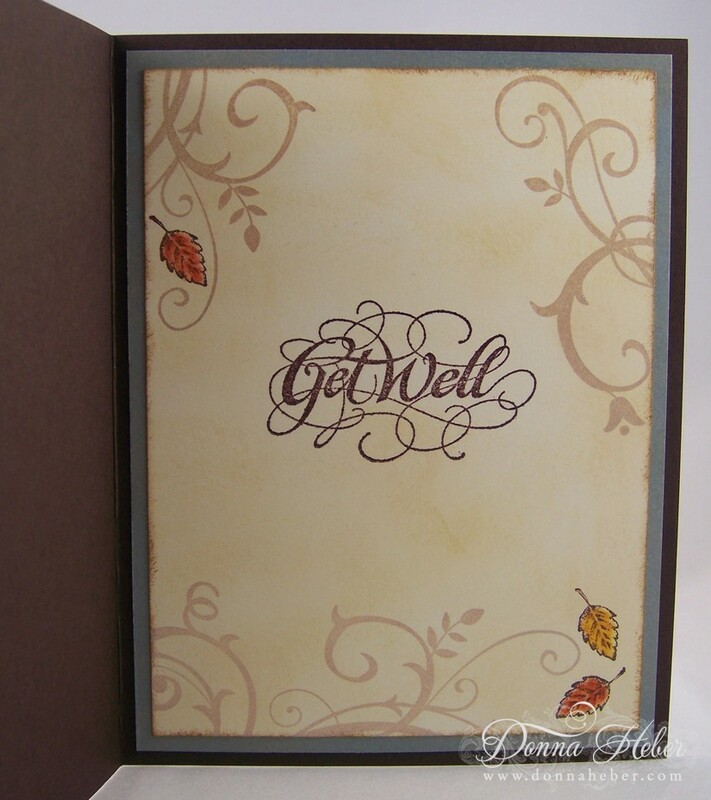 Love this get well card. 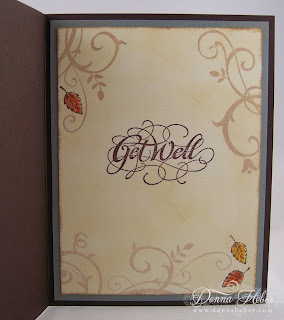 I have this Stampin Up set. I love how you used it. I like reading the directions to your card because I may case your card or wonder how you got that effect. It is helpful to me. Thanks for sharing..
Another splendid card Donna. I find your recipe cards very helpful. You are a great inspiration! Beautiful card. I also like learning how you make these cards. Please keep posting. Donna, that tree looks spectacular...great card. I especially like when a card is finished on the inside as well as the outside...thanks for sharing. Hugs and wishing you a great day. 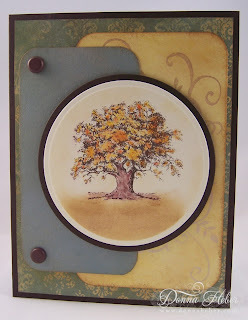 a beautiful tree and card donna. your co worker feels better when he see this colourful card. Gorgeous, as always, Donna. I do love the autumnal colour scheme-great instructions too. A lovely card Donna. I think I have this stamp as well as I wanted something to use for masculine cards. 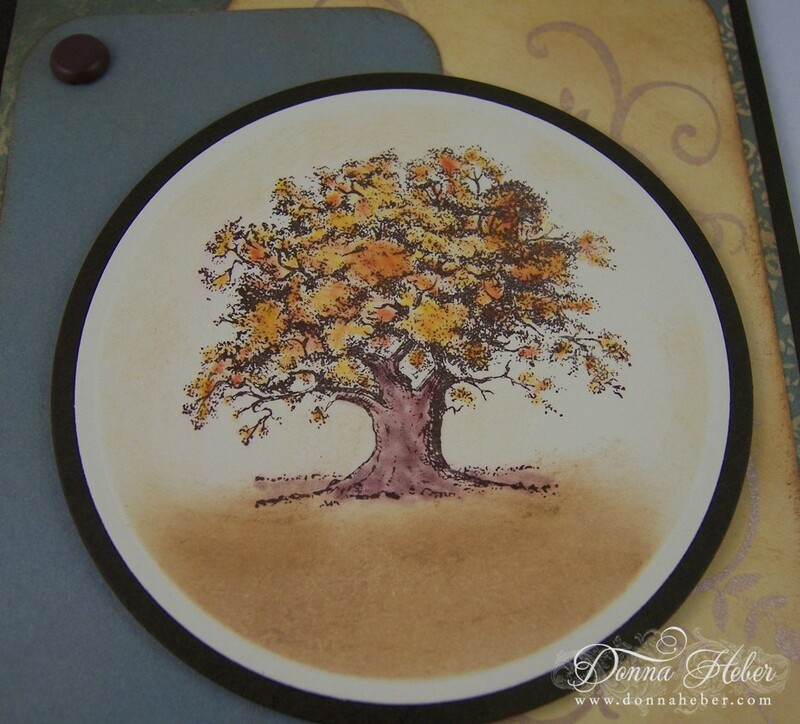 Stunning card, Donna! I put my card recipe under my cards but don't go into detail at all. You did a wonderful job putting it down here.